The General Assembly shall bring together all members of the Conference. It shall determine the Conference’s policy guidelines, and, through its resolutions, decide on the organisation’s activities. It shall meet each year in ordinary session in order to examine the activity report, the financial report, the level of membership fees and, if appropriate, the auditor’s report. An extraordinary session of the General Assembly may be convened by the President, or at the unanimous request of the Executive Bureau or two thirds of the members. Each full member and associate member shall have one vote. Voting shall be by a show of hands and decisions shall be taken by a simple majority, but if the vote is contested, the President may decide to organise a roll-call vote. Observers may participate in General Assembly meetings. They may take the floor, but have no voting privileges. The Executive Bureau leads the Conference, ensures that the resolutions made by the General Assembly are followed, co-ordinates the work of the Committees. The Bureau elects its President and four Vice-Presidents. It also includes the Presidents of the various Committees. As far as possible, the five countries involved in the work of the conference should be represented in the Presidency and Vice-presidencies. Cities that, within a Committee, lead a working group or are in charge of a specific policy area may be represented at the Executive Bureau meetings. Thematic Commissions represent the technical dimension of the CAAC. 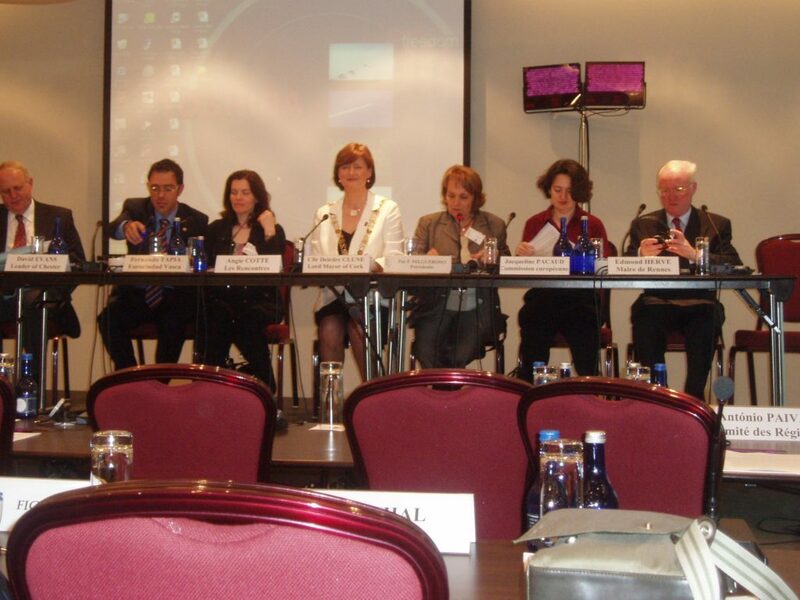 Led by a city president , Commissions channel European projects , working groups and position papers .